In light of the recent trend of federal judiciary nominees refusing to answer questions on Brown v. Board of Education during confirmation hearings, we are pleased to offer an early look at Professors Lori Ringhand’s and Paul Collins Jr.’s article, Neil Gorsuch and the Ginsburg Rules, featured in our forthcoming Volume 93, Issue 2! 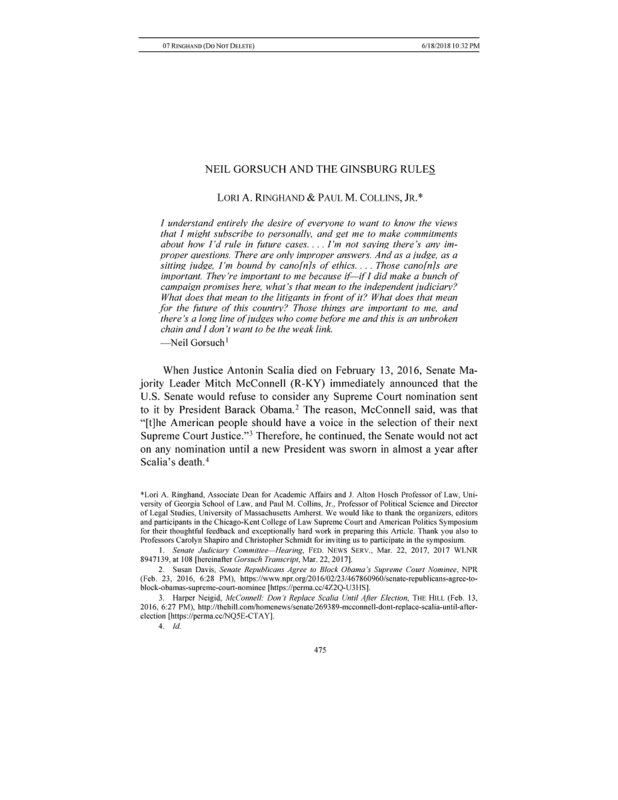 Neil Gorsuch and the Ginsburg Rules was presented last fall as part of ISCOTUS‘s “The Supreme Court and American Politics” symposium. The full symposium will be published in Volume 93, Issue 2 this summer.